Apologies for my absence. 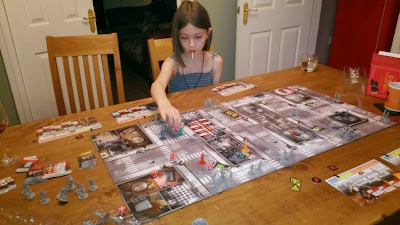 I've been taking a Christmas break and playing a lot of Zombicide! For those that don't know it's a 'family' ahem, friendly cooperative board game which pits a team of up to six against an ever increasing undead assault. It's bloody great and recommended!